CHECHESMITHNATION : Super Model Oluchi Slays At Her Scent Of Africa Perfume Launch! 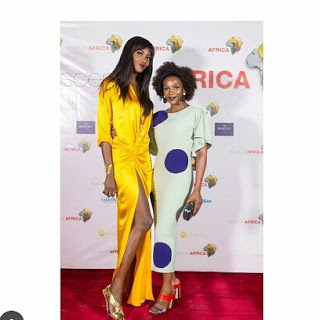 Super Model Oluchi Slays At Her Scent Of Africa Perfume Launch! The pretty super model, Oluchi looked all fab as she stepped out rocking this thigh-high slit number by Tiffany Amber and later changed into a green number paired with gold sandals.